The topic of stay-at-home parenting can be a hot-button issue. I realize that. Frankly, I don’t understand why it’s really anybody else’s business if you decide to stay at home and raise your kids or if you decide to work. I’ve seen this more between moms than between dads, but it can be downright brutal. Really, I just want discussion, respectful, of course, about the topic. When Sarah went back to work after being home with me and Sophia for two months, it was my turn to be the parent at home, on my own. While, I didn’t choose to lose my job a month before Sophia was born, we did decide that it made the most sense financially at the time, for me to continue to stay home. The cost of daycare coming out of a paycheck didn’t seem to make sense–especially since I was already at home. Granted, I did some freelance work from home, which helped. And, when you have a baby that really loved being in her swing, or in her pack and play, or playing on the floor, it wasn’t terribly difficult to get some work done during the day. My foray into being an at-home dad lasted just about six months. And I’m going to be honest, I loved every minute of it. I loved all that time that I got to spend with Sophia one-on-one. Being a first-time father, I felt that it was extremely beneficial to have that time to learn, bond, and just be with my first child. I even decided to start this blog because I was going to be home. I didn’t realize at the time how many dads stayed home, nor did I realize just how many dad bloggers there were. Hint: There is a lot! That being said, we did decide that I would go back to work when an opportunity arose that we felt I had to take. So, I’ve done both sides here. I’ve been an at-home dad and I’ve been a working dad now going three years. I don’t understand the venom that can be thrown at someone who decides that staying home with their kids makes the most sense for them and for their family. I’ve talked to a lot of stay-at-home dads and moms and they all have different reasons for staying home. Some, like me, lost a job and decided it was best to stay home. Others just wanted to be home with their children and don’t want them in daycare. It’s not an easy decision to do either. I can say that one thing that I missed when I was out of work was the interactions with other adults and developing friendships with co-workers. You don’t always get to have that adult interaction when you’re home with a baby. I, for one, didn’t get much interaction since we had a single car at the time and it usually went with Sarah to work. And, we didn’t have any parks within walking distance. What I have learned in the last year is that there are so many at-home dads in the country, there is an amazing network for them to turn to for any kind of help they need. The National At-Home Dad Network is an amazing resource for fathers. Heck, even if you are a working father, there are resources for you. There’s even a national convention, which is coming up very soon. I wish I had known about that when I was home. 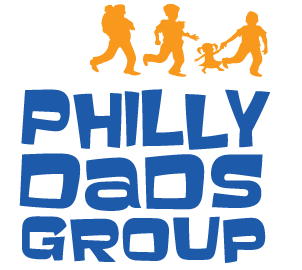 I also wish that the Philly Dads Group was around then, too. It would have opened up so many options for me to get out, meet other dads, and have Sophia interact with other babies and kids. Let’s talk about being a working parent. For fathers, in particular, a big issue right now is the lack of a standard paternity leave system. My fellow blogger Scott Behson over at Fathers, Work, And Family published a post about the experiences of 16 different working dads and paternity leave, myself included. 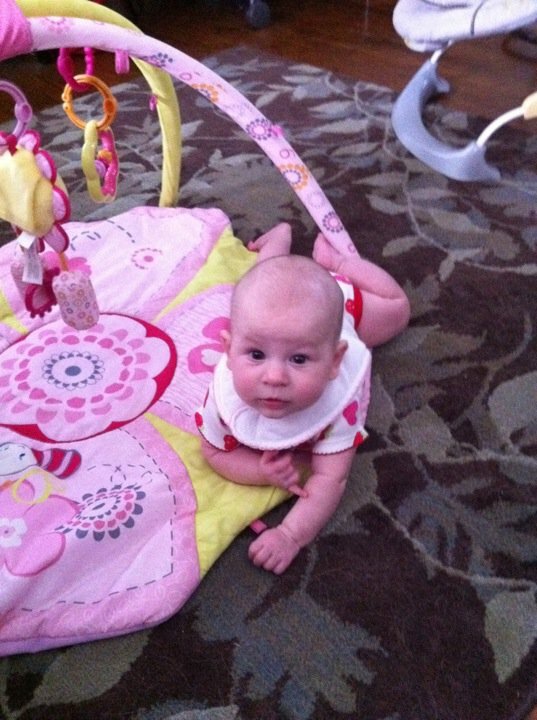 I’m a lucky one who had flexibility when Maddie was born and was at home for a month–all paid. Granted I worked for two of those weeks, but it was something that was really helpful. We decided that both of us working makes the most sense right now. Financially, we need both incomes. Going without one of them isn’t doable. And believe me, we’ve had the discussions many, many times. Sarah would love to be a stay-at-home mom, but it’s just not something that we can make work right now. We do like the fact that both Sophia and Maddie get daily socialization with other kids. While we could get them some socialization if we stayed home, they may not get everything that we would want. Then again, I could be totally wrong on that. As long as your kids are interacting with other kids, that’s a great thing, regardless of where it takes place–daycare, playground, friends’ houses. I guess what my point in all of this is–there really is no wrong decision. These are your kids. You can raise them how you see fit. If you can make staying at home with your children work–mom or dad–then do it. It’s awesome and applaud you. If you both need to work and send your kids to daycare, then that’s awesome, too. The only thing that matters is that we’re making the best possible decisions for our children. Now, can someone please tell all those folks pointing fingers at the others for staying home or for working and saying they’re doing it wrong, to kindly quiet down. You do your thing, we’ll do our thing. And we’ll all be happier and better for it. What do you do? Do you stay home with your kids or do you work? Why did you make the decision you made? I want to hear from you! Leave your thoughts below, on my Facebook page, or Tweet me!